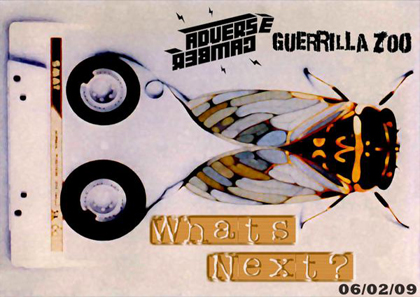 Guerrilla Zoo and Adverse Camber - What's Next? Its winter in London 2009 and Dangermouse has left the building. You may well be asking yourself,"What's Next?" Well, in terms of having a great time with Penfold andenriching your party receptors, only one dark night in February gives you chanceto rip your scarves off, eat your gloves and kick it to bass. 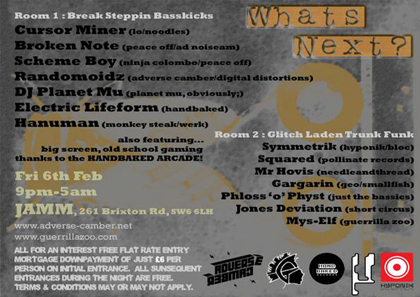 Get down to Brixton to see what is, in fact...Next! Hand Baked Old School Arcade Installation.